The previous floorplan financing limit in the U.S. Small Business Administration pilot program was $2 million. The 17-month-old program hasn't gotten off the ground because banks, credit unions and other lenders have been reluctant to participate. WASHINGTON -- At least 23 Democratic and Republican lawmakers have made a list-ditch request for a suspension of General Motors' plan to terminate 500 dealerships on Sunday. At least 22 members of the House asked the Obama administration to prevail on GM to halt the terminations until federal investigators can complete their probe of possible illegal misconduct over the closures. House Minority Leader John Boehner of Ohio is the most senior Republican to join the effort begun by Rep. Steven LaTourette, R-Ohio. Among the Democrats are Reps. Dennis Kucinich and Betty Sutton of Ohio. Sen. Sherrod Brown, another Ohio Democrat, asked the Obama administration and GM today to suspend terminations of dealerships until courts can rule on dealer appeals. “I urge you to postpone any dealership closings until the dealerships have had their day in court,” Brown's letter said. Many of the lawmakers are from Ohio because three GM dealerships in the state that are scheduled to be closed have appealed arbitrators' decisions to have them shuttered. A Treasury spokesman today had no comment. The special inspector general of the U.S. Troubled Asset Relief Program is investigating the closure of more than 2,000 GM and Chrysler dealerships during and after the companies' bankruptcies last year. A July audit by the inspector general criticized the way the terminations were handled by the Obama administration and the automakers. During the summer of 2009, GM notified 2,064 dealerships of plans to terminate at least one of their franchises by October 2010. 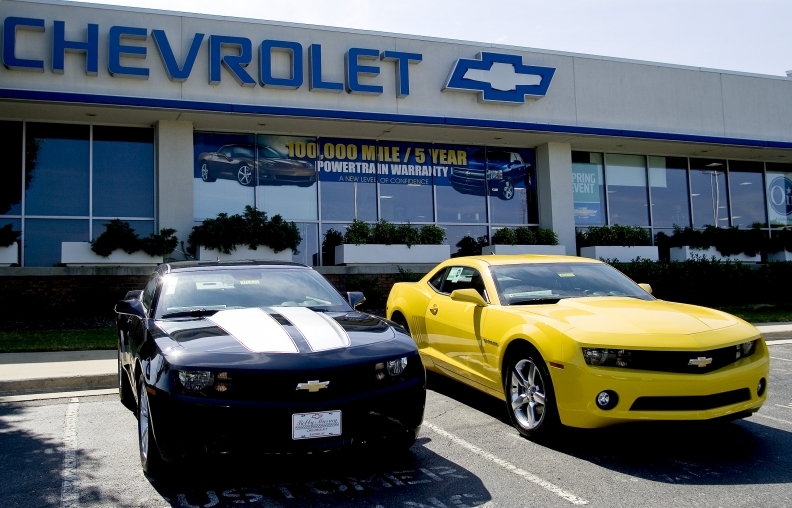 GM's goal was to pare its U.S. dealer network from 6,049 stores to about 3,600. GM's U.S. sales network is now likely to be about 25 percent larger than originally planned, with about 900 more stores -- making a total of about 4,500.